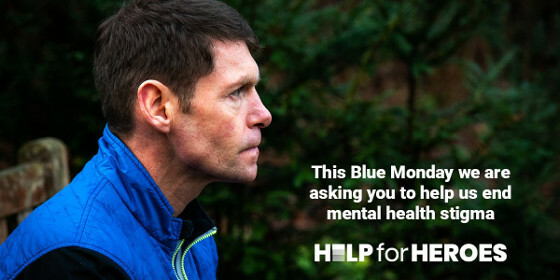 On Blue Monday, dubbed “the most depressing day of the year”, Help for Heroes illuminated London landmarks to shed light on the stigma preventing veterans from accessing the support they need for mental health issues. At the centre of this new campaign created by McCann London and McCann Enterprise and Help For Heroes is the #StigmaClock. Depicting the four-year delay it takes Armed Forces veterans to seek help for psychological wounds such as post-traumatic stress disorder (PTSD), the clock was projected onto the Tower of London in support of veterans suffering in silence. Help for Heroes is encouraging the public to join in and show their support for veterans by shaving time off the #StigmaClock. With every pound donated to Help for Heroes through the campaign; with every retweet, “like” and share on social media, and every new volunteer recruited, the four years on the #StigmaClock will be cut. The projection was livestreamed via CutTheClock.com so people could see the #StigmaClock being cut in real time. By raising public awareness and symbolically reducing the four-year delay, the campaign hopes to help veterans come forward to receive the help they need much quicker. The campaign commenced with a launch event on Monday, January 21st at 6pm at the Tower of London, where England rugby legend Matt Dawson, who has dealt with various difficult injuries during and after his sporting career, started the clock.